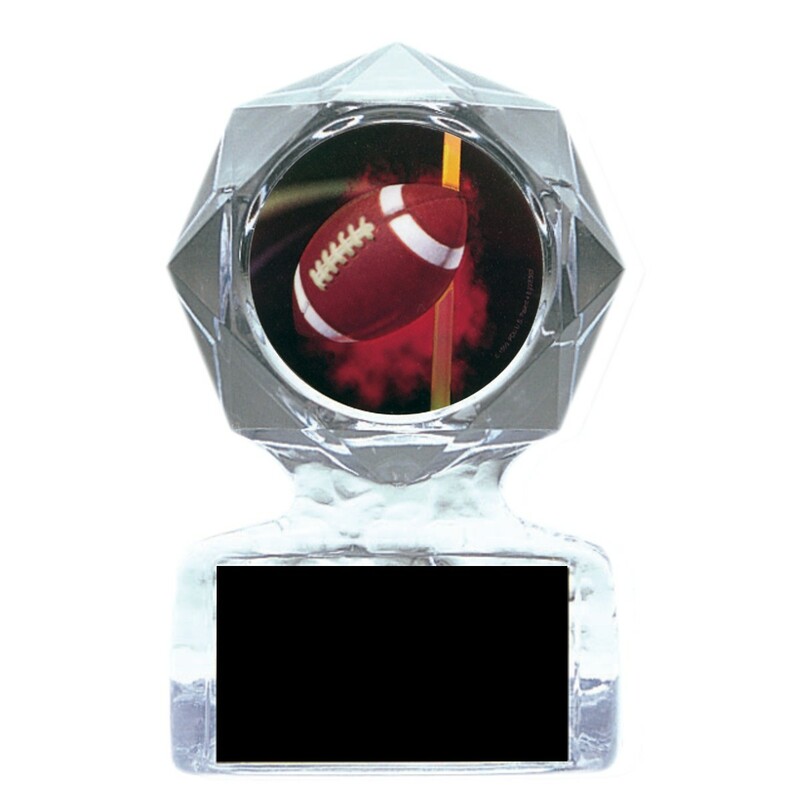 Forever remember the swish of the football sailing through the goalposts for those winning points with these clear acrylic star trophies! With a holographic mylar insert of that very image, your players will surely relive each exciting moment. Remember the best football moments with these Field Goal Football Acrylic Star Trophies today! Production time for this product is 1 business day(s); expected pickup or shipping date is 04-22-2019.